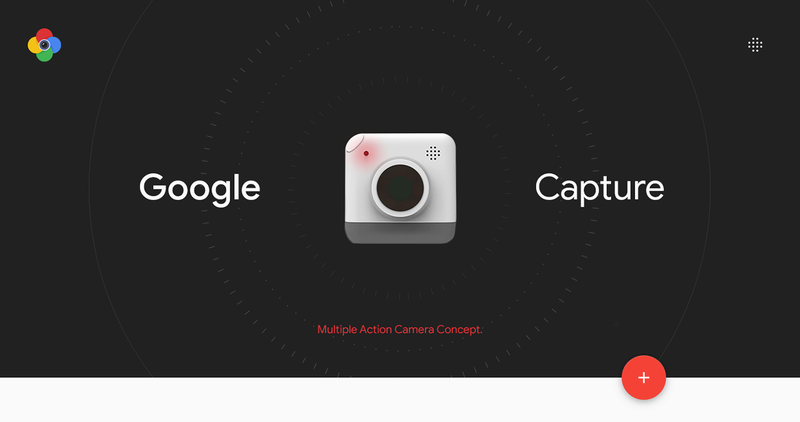 As part of a three-day seminar supervised by three Google designers, we were asked to produce an innovative concept, which could then be developed by Google. The seminar started with a training inspired by the Google methodology which aims at crossing different departments and thus various skills to bring out new concepts. Our team was therefore composed of four junior designers who developed their own skills (IUX, Products, UX, UI). 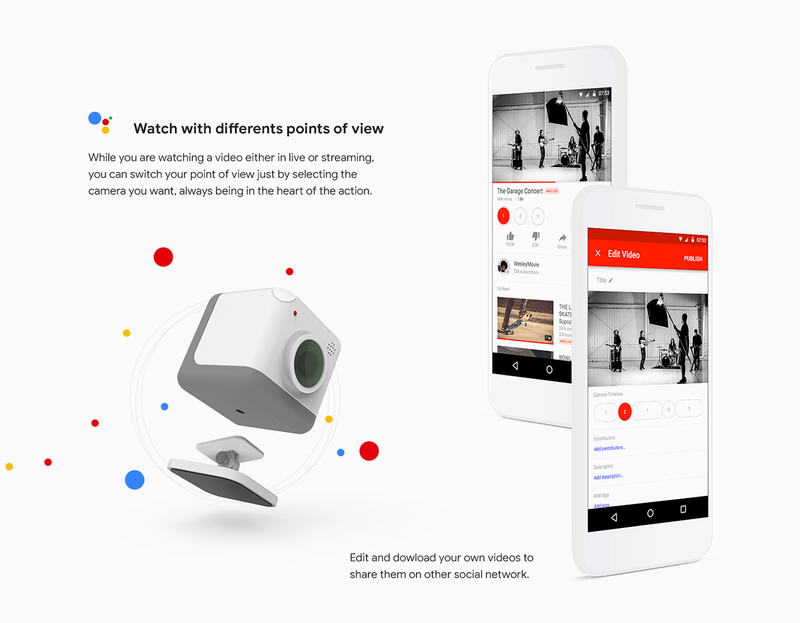 We were asked to choose three Google technologies and a typical user to identify a problem based on real uses. 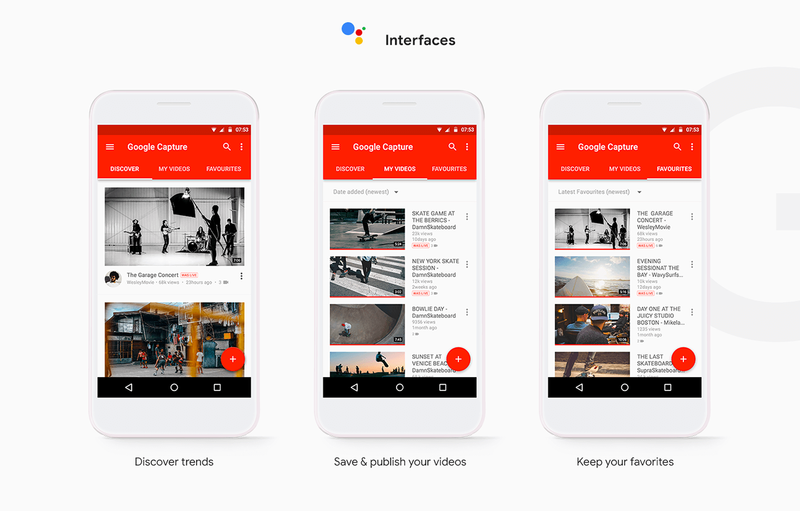 We picked Google hardware as well as Google daydream in order to ask ourselves how we could improve interactions between content providers on Youtube and single users. 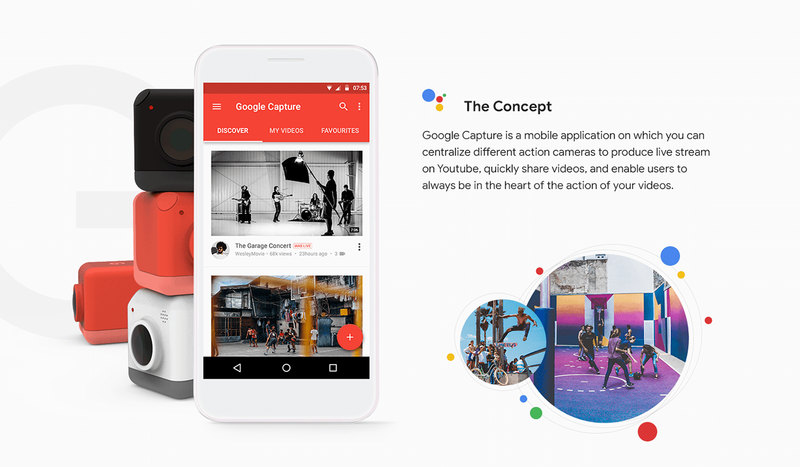 Google Capture is a mobile application that centralizes different action cameras to produce live streams on Youtube, quickly share videos, and enable users to always be at the heart of the action.